Azalea Cerise Deva-line Flower Essence ~ ‘brewing’ in the sun. 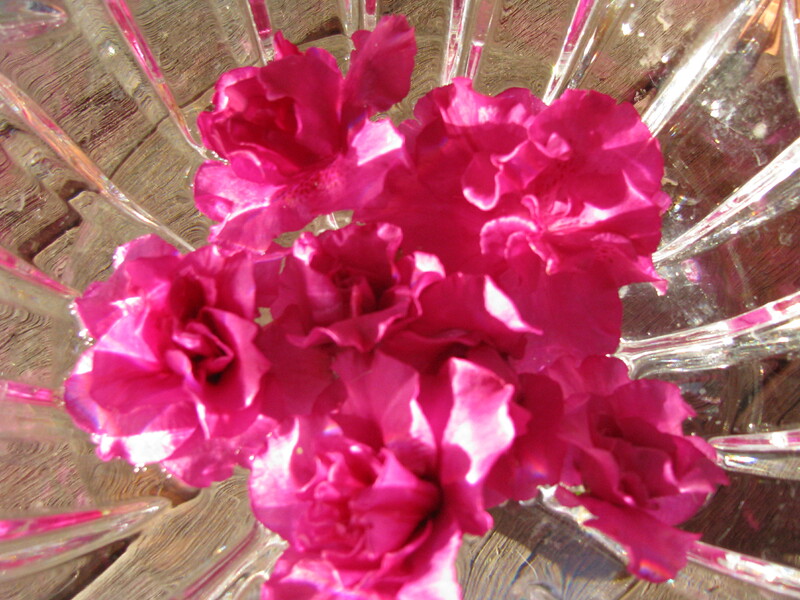 Azalea Cerise … a very potent remedy ~ the Divine Feminine energy of Love, come to sooth my soul. Divine and Royal Queen of the Night, full of beauty, she comes to heal my heart. She gives me a glimpse of where I’ve traveled. She encourages me to have compassion for myself, to allow the healing. At my lowest point the help is there, surrendering control accepting the assistance. Azalea Cerise reveals the magick behind living. I am never alone. I will always be guided to that which is best for me. The love for me is eternal. Glimpses of where I’ve travelled… during my Jade Egg practice this morning. I drifted back to that brave little girl that got me through, so I could be here… at seventy years old. I often think of her as her, not me. But it’s me. It’s me that had that courage and faith. It’s me that had that will and strength. It’s me who was so incredibly brave, for one so small. It’s me that’s got me here. It’s me that is and always has been so powerful and so wise. Yes it’s easy to forget. It’s easy to get caught up in what’s wrong. It’s easy to get enmeshed in the web of separation; to the lack of unity, to judgement and comparison. But then it’s easy to be here now. What do we need to release, to let go… to sink deeply into this moment of time. To where I am here and now. Life can be distracting ~ these days more than ever. Everyone wants our attention… it’s gone from billboards to our bedrooms and lounge rooms. Even time you click on that device, in they pour… hands waving, crowds pushing forward… everyone wants a piece of you. Searching for happiness in all the wrong places. I began this post with ‘gunna, gunna ~ never manifests’… well that’s procrastination. Putting off for the day that never comes. And then what, we die before we get the chance. I’ve seen it, I know it. What does it take to wake us from our frozen state, our fear… of what? Not good enough, not enough, not enough. It’s 2019 ~ and tsunami size waves are heading toward us. Change is approaching on scales we’ve not experienced. It’s not about fear, but curiosity and openness… what new ways do we need to learn, what do we need to let go off? How can we dig deep, what tools do we need? What do we long for, what do we ache for? What do we want at the core of our self? Who we are when we stand alone? Who is our highest and brightest self? How can we be all that we know? How can we connect with the great Heart of Life? I feel her, I get lost in her sometimes. It’s exquisite that feeling of uniting with everything. What’s calling us, wanting us… from inside us? What does it mean, how does it feel to be a real human being? How can we become the highest manifestation of ourselves? Wishing you a year of great discoveries and wondrous moments of luxuriating in your own deep restful cave.